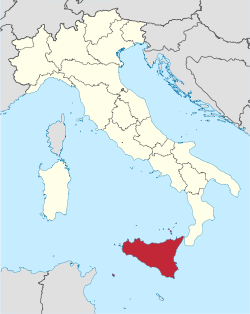 Ranked as the largest island in the Mediterranean Sea, Sicily holds a presence of a mini continent. Drastic geographical differences from east to west, diverse micro climates and a long history of arts, music, cuisine and language all greatly influenced by ancient Greek and Arabian culture. Located 100 miles from the north African coast Sicily has the luxury of year round sunshine. The proximity to the equator provides the warmth to grow foods like citrons, tangerines, pistachios, capers and table grapes ( to name a few) which all contribute to the distinct flavor profile of their Agrodolce ( sweet & sour) cuisine. Historically the lower lying vineyards have produced an ideal ripeness for wines to compliment the regional foods. However, in recent decades higher elevation vineyards and more elegant wine styles have been the focus of many producers, thus elevating the regions status for quality wine and competing with its northern counterparts. One of the most notable areas for this type of production is the snow capped Mount Etna, which stands at 11,000 feet directly above the sea. Its height creates a cooler growing climate, while its distinct volcanic soil provides a bed for ungrafted old vines of native varieties.